Light up the season with Night Bloom, a five-week light and sound exhibition. Immerse yourself in an illuminated Conservatory of Flowers bursting with vibrant and luminous displays. Rooms evoking the tropics will dazzle in this interactive nighttime experience. 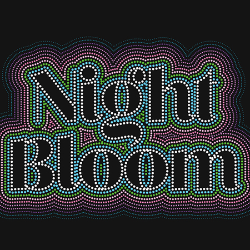 Journey through the five galleries and be transported with Night Bloom. Prism: Colorful beams will pique your curiosity and encourage exploration. Glow: Reflect in the glimmer of glowing ponds. Bloom: Play and embrace your imagination. Guests are invited to embark on a journey through the tropics where cotton candy sunsets abound, rare and unusual flowers blossom in the moonlight, and fireflies come out to play. Revel in the Conservatory of Flowers as never before seen, with an illuminated Conservatory and interactive displays welcoming guests. Food from local food trucks and seasonal beverages will also be available.